A look at one of the indoor galleries during Open Studios. Poet Populist, writer, and community advocate Toni Bee Brooks performs with musicians on stage. 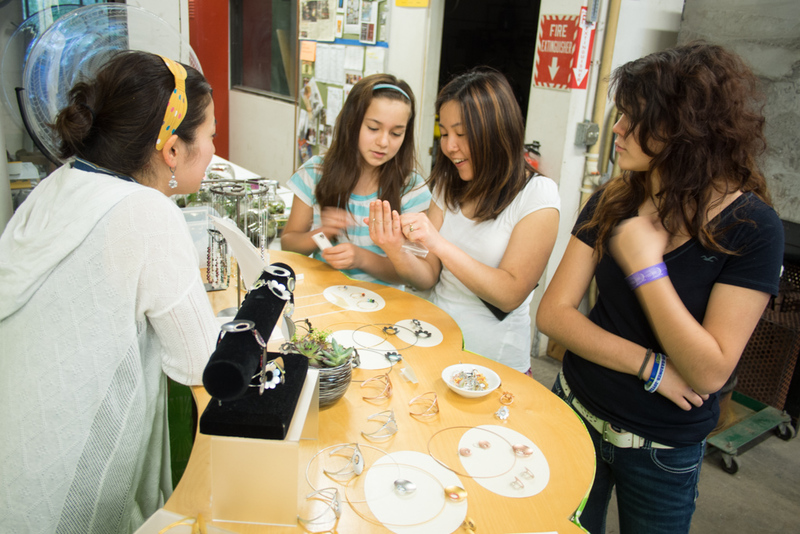 Visitors look at handmade jewelry by a local designer at Open Studios. 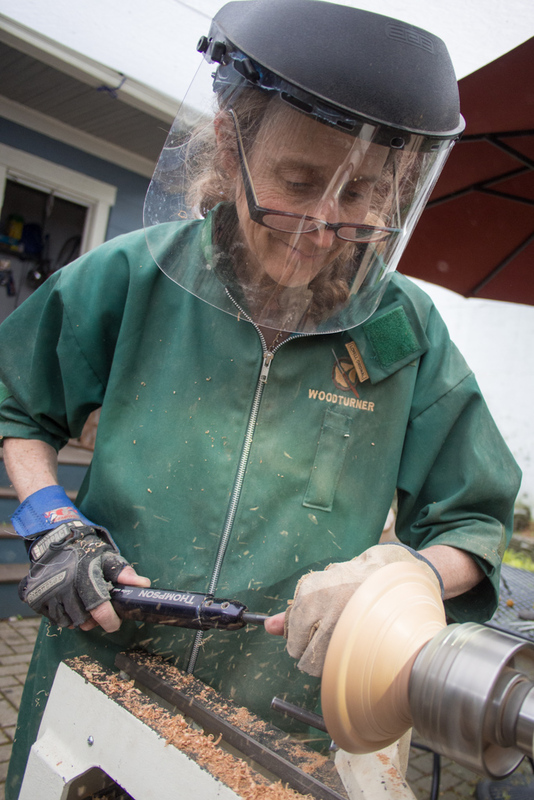 A local artist demonstrates her carving craft of woodturning a wooden bowl during Open Studios. 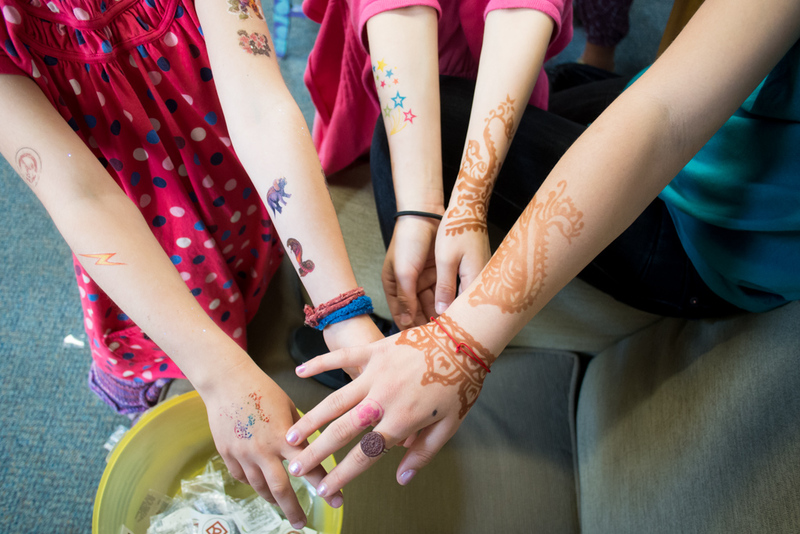 Young visitors show off their temporary tattoos and henna during Open Studios. 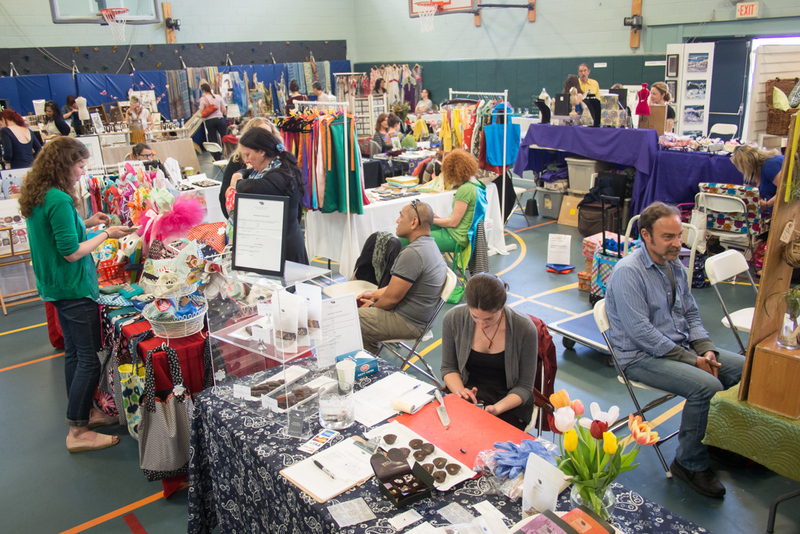 A look at one of the bustling crafts fairs during Open Studios. 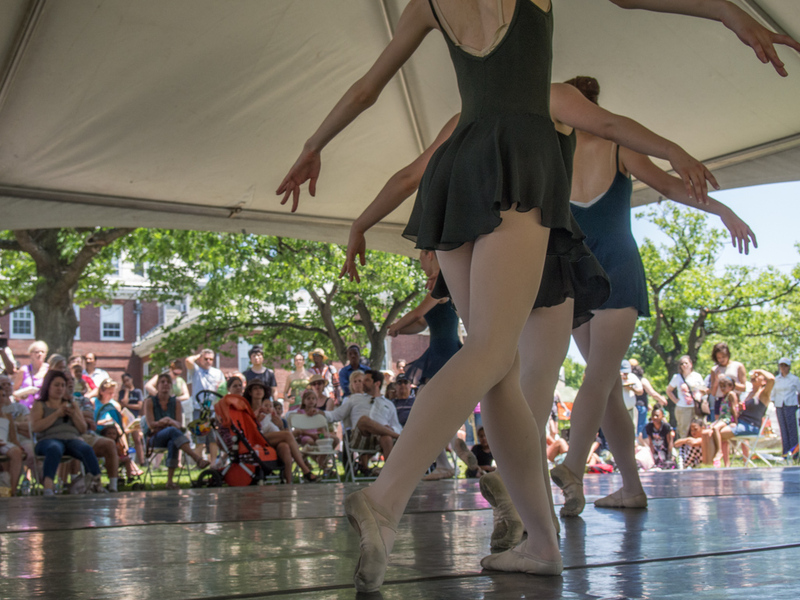 Ballet dancers perform on stage during River Festival. 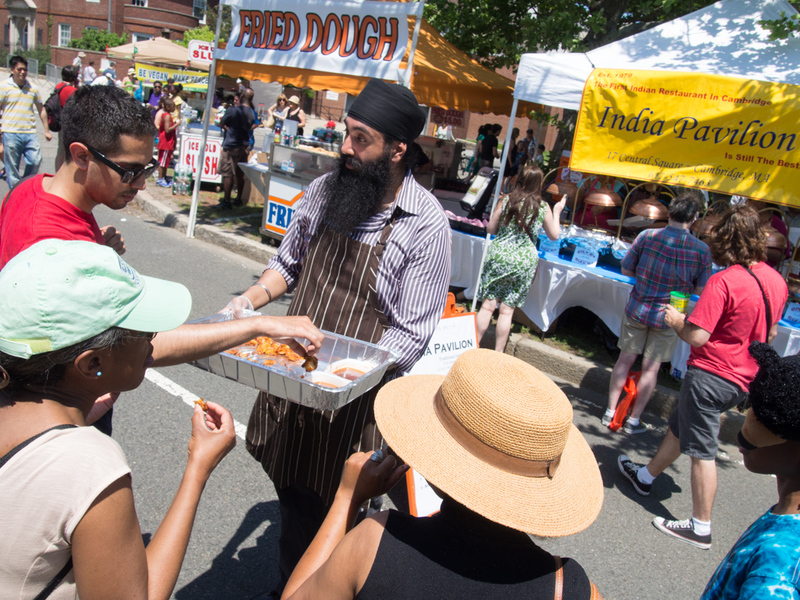 A vendor offers free samples from his restaurant, India Pavilion, during River Festival. 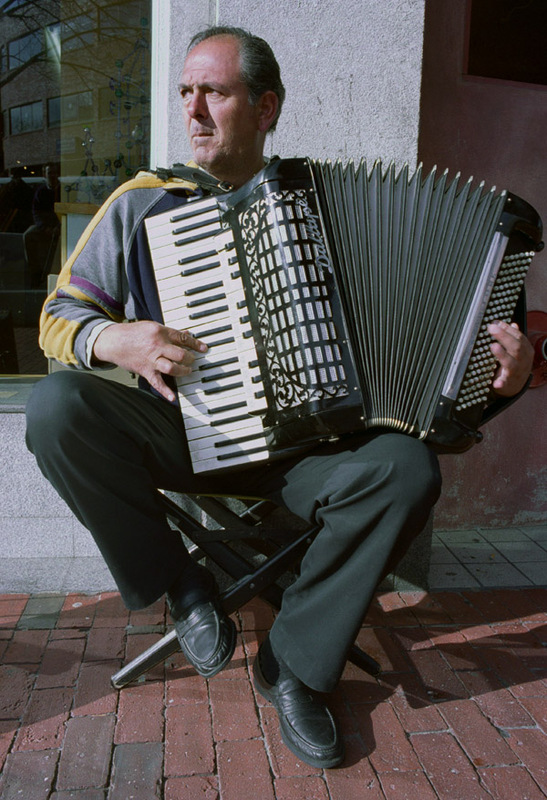 A street performer plays his accordion in Harvard Square. Hip young violinists perform together during Open Studios. Mahmood Rezaei-Kamalabad, a Cambridge artist and owner of Aladdin Auto Body, poses in front of one of his steel sculptures during Open Studios. 2014 Music Grant Recipient Deepti Navaratna teaches workshops of the ancient South Indian tradition of Carnatic Melody, the Raaga philosophy, and Nada Yoga. A birds-eye view of River Festival. Young musicians try out some ethnic drums at a community table during River Festival. A local band performs on the Folk Stage at River Festival. After an experiment-gone-wrong changed the scientist forever, this human-size fly performs with a dancing crowd of inexplicably transforming local youngsters at the Family and Children's Stage during River Festival. A band performs on-stage during River Festival. A birds-eye view of River Festival, and a curious canoeist observes from the Charles. 2014 Theater Grant Recipient Survivor Theater Project works with survivors of sexual abuse to perform short plays in Central Square. Street dancers perform for a growing crowd in Harvard Square.